TUESDAY, March 14, 2017 (HealthDay News) -- More than half of older American women with early breast cancer may get more radiation therapy than needed, which significantly boosts medical costs, a new study indicates. Analyzing 2011 data on breast cancer patients, researchers estimated $164 million could have been saved by ordering a shorter radiation course. "Women who were eligible for shorter radiation courses or omission of radiation were still often receiving longer and more costly radiation courses," said study leader Dr. Rachel Greenup. She's an assistant professor of surgery at Duke University Medical Center Cancer Institute in Durham, N.C. However, Greenup and other experts said the study results might not be applicable to today because more women are receiving shorter courses of radiation than in 2011. For the study, Greenup's team used data on 43,000 breast cancer patients age 50 and older from the U.S. National Cancer Database. Fifty-seven percent of women who could have avoided breast radiation or undergone a short course still got the traditional six-week course, the researchers said. All patients had small tumors that had not spread to the lymph nodes. They had undergone a lumpectomy (breast-conserving surgery) followed by breast radiation to reduce the odds of cancer recurrence. The shorter radiation course calls for higher radiation dosages delivered in fewer sessions, making it more convenient for patients and less expensive. The cost per patient was about $13,000 for the six-week course, and about $8,000 for the shorter course, the researchers said. For the entire year, radiation costs for those who could have skipped or shortened treatment was $420.2 million, the researchers estimated. Previous research has shown that patients eligible for the shorter four-week course have no greater risk of cancer recurrence compared to those on the six-week regimen, the researchers said. Another study found that carefully selected women age 70 and older have no additional survival benefit with the six-week regimen compared to women taking only the drug tamoxifen after lumpectomy and no radiation, the researchers said. The bottom line: "There is a potential to decrease the cost and burden of treatments for early stage breast cancer patients without compromising care," said Dr. Laura Kruper, co-director of the breast cancer program at City of Hope Comprehensive Cancer Center in Duarte, Calif. However, the new study has limitations, said Kruper, who wasn't involved in the study. For one thing, the large national database provides no details on why physicians recommended the longer course. They might have had their reasons, she suggested. Greenup agreed, saying some tumors initially might have seemed to qualify for shorter-course radiation. But if high-risk features showed up in microscopic evaluations, the longer course might have looked preferable. Another study limitation is that the cost estimates were based on Medicare reimbursement data, which is less complete than insurance data, Greenup said. Also, if the study were repeated today, or even last year, the results would likely be different, said Dr. Seth Rosenthal, chair of the American College of Radiology's oncology commission. "I think things have changed [since 2011] and more patients are being offered the shorter course of radiation for treatment of early breast cancer," said Rosenthal, who was not involved in the study. Greenup agreed. Some more recent studies do suggest increases in women taking the shorter treatment, she said. Not everyone is a good candidate for the shorter course, said Rosenthal, an attending radiation oncologist with the Sutter Medical Group in Sacramento, Calif. In his practice, he said, about 80 percent are treated with the shorter course. One downside of the shorter course, Rosenthal added, is that some patients have a stronger skin reaction to the therapy. "Sometimes it can be rougher on the patients,'' he said. Sometimes women who are suitable for the shorter course say they want to go with the "tried and true" approach despite evidence that the shorter course is safe and effective for them, Rosenthal said. The best advice for patients? "Seek a second opinion regarding radiation therapy," Kruper said. "If possible, go to a facility that has a reputation of offering hypofractionated [shorter-course] radiation therapy to the majority of eligible patients," she added. "Do a little bit of background research." 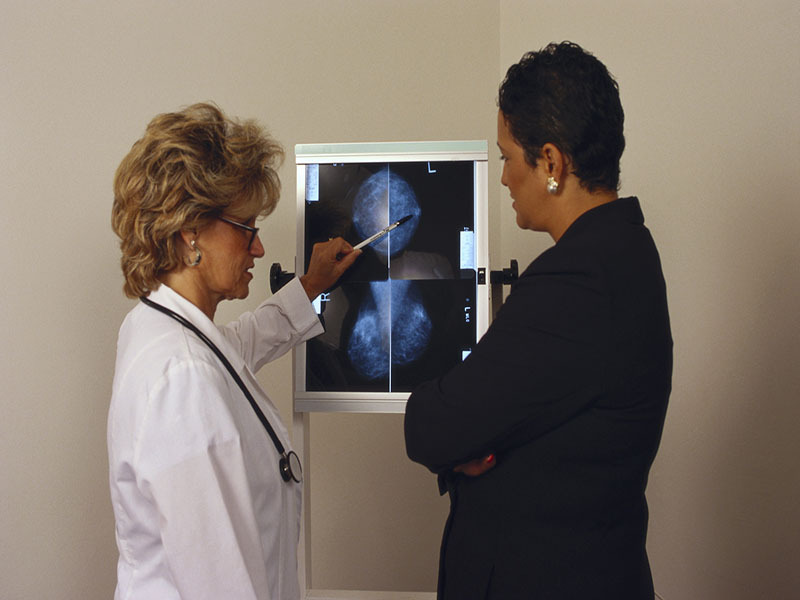 The study results were published March 14 in the Journal of Oncology Practice.